So a bit about me, I’m Paula. I love flowers & plants. I really cannot ever remember not being fascinated by them. I’m a florist with decades of professional working experience behind me, not all in the floral industry. My post secondary school years were spent at art college which then led onto a few decades working in the design & architectural industry. These fantastically fun & frenetic years were spent living in London & South East Asia, working on projects worldwide. Fast forward & after a break to start a family, I decided to change direction & return to an earlier love of flowers. So back to college for a formal background in the industry, then time spent with florists at Covent Garden Flower Market. This led to work in various florist shops as well as freelance on larger weddings with other florists & designers. 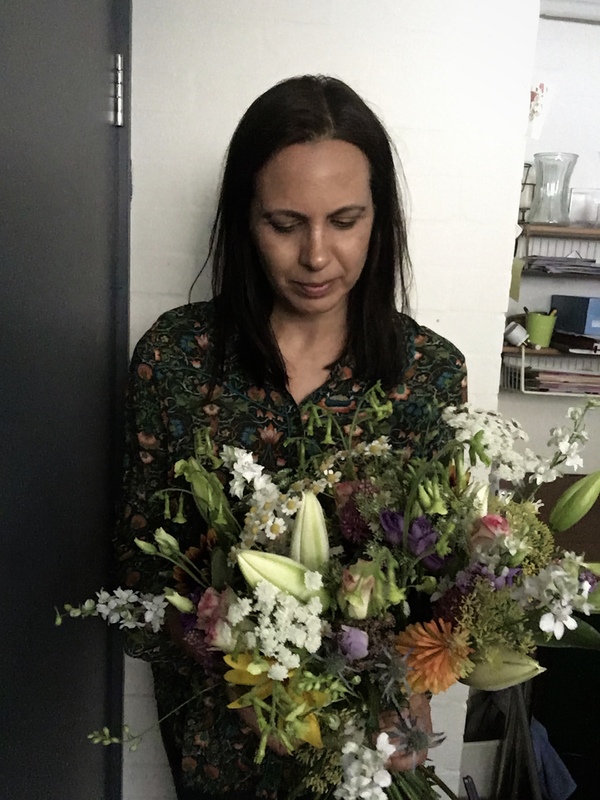 With a young family & the need for more flexibility I decided to ‘go solo!’ Now with my own studio, this enables me to provide high quality flowers but at a fair price. No traditional retail premises also allows me to spend time individually with my customers. 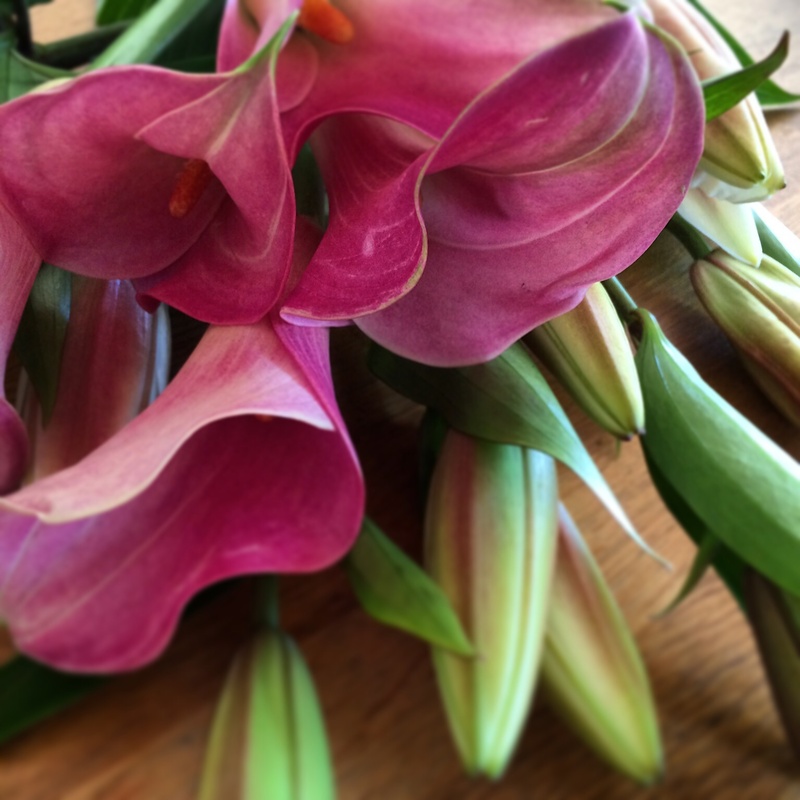 I am able to meet with someone to discuss flowers for a party, or a funeral at a time that suits them, and this can take place in someones home, venue or wherever they feel best relaxed. Although a gallery of floral pictures is what people expect when looking online for a florist. I created a blog to share the process of some of the floral events I’ve been privileged to be part of. Initially this worked well as a regular journal titled ‘my day in flowers.’ Another hop, skip & a jump forward, My Day In Flowers is now merged into www.paulacabrelli.com with everything under one roof. When I am not thinking, planning or talking about flowers, I am either being a taxi driver to my children, walking the dog, doing ‘stuff’ in the garden. This ‘stuff’ in the garden has now developed into dipping my toe into flower farming. Or more for my beginners scale, growing flowers in a few cut flower patches in different sites. Keep watching this space!